Replacing a missing tooth involves more than simply making your smile whole again. In Webster, or anywhere else, dental implants are an ideal solution for tooth replacement because they restore oral health in ways that other dental treatments can’t. If you have any of the above conditions, you may still be a viable candidate for dental implants. Our experienced dentists will evaluate your oral condition and implant candidacy during your consultation. If live in Webster and are considering dental implants, contact the Center for Cosmetic & General Dentistry today online or at 585-227-4390. We welcome patients from Rochester, Greece and other areas of New York. Rochester and Greece-area residents hoping to replace missing teeth have a number of options at the Center for Cosmetic & General Dentistry. Dental implants, for example, are ideal for replacing a small number of missing teeth while also helping prevent the unwanted dental complications associated with tooth loss. However, if you are missing an entire row of teeth, dentures may be a more appropriate solution. For many patients, a combination of the two procedures is the best option. A consultation with one of our experienced dentists can determine if you are a good candidate for implant-supported dentures. 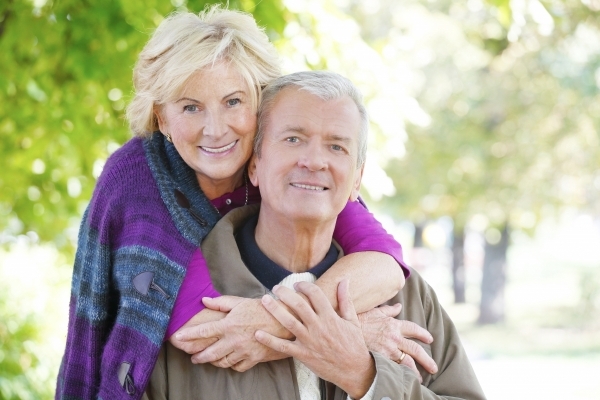 Essentially, a dental implant is just an artificial tooth replacement. A small metal post is placed in the jawbone to support the custom restoration material attached, such as a dental crown or bridge mechanism. The implant can also be used to support a full denture. Keep in mind that dental implants are not right for every one. Our dentists will fully assess your unique situation and discuss your options with you. If you live in Rochester or Greece and would like to learn more about dentures, please contact us today online or at 585-227-4390. At the Center for Cosmetic & General Dentistry, our dentists are committed to bringing you the most advanced and beneficial dental technology. Before incorporating any new technology into our practice, our dentists vet the device for safety, effectiveness and overall benefit to our patients. 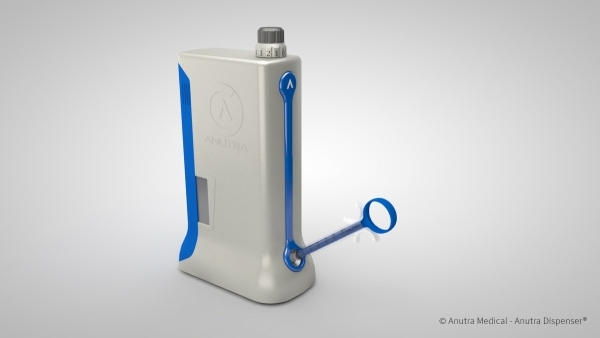 We are proud to offer an innovative local anesthetic delivery system made by Anutra Medical. The exact mechanics of the system get fairly technical, but basically the system "buffers" local anesthetic so that its acidity is closer to the acidity level naturally found in the body. The two major advantages are that you will become numb quicker and the injection of the anesthetic itself is less painful. The improved delivery system can be of benefit to you in a variety of dental procedures, from having tooth decay removed to the placement of a dental crown. To learn more about how this anesthetic delivery system works and whether it applies to your dental care, please call the Center for Cosmetic & General Dentistry at 585-227-4390. We are proud to serve people from across New York, including Rochester, Greece and Webster. An intraoral scanner makes a digital impression of your teeth and bite. This technique is a huge advantage over the messy, goopy teeth molds of the past. Using the handheld device, we will create a scan of your mouth that can be displayed on a computer, allowing our dentists to plan a highly customized, highly effective approach to your treatment. While digital intraoral scanners are nothing new, our dentists are proud to incorporate the newest, latest technology of the CS 3600 into our practice. The dentists at our practice love this device because it allows us to take impressions of your mouth faster and more easily than ever before, while producing a detailed, accurate image. Learn more about how it can benefit your treatment when you visit us for a consultation. To schedule a consultation with the experienced dentists at the Center for Cosmetic & General Dentistry, please call our experienced team at 585-227-4390. We serve people from across New York, including Rochester, Webster and Greece. This month is Oral Cancer Awareness Month. The team at the Center for Cosmetic & General Dentistry would like to encourage you to schedule a routine checkup with our dentists, during which they will perform an assessment for signs of oral cancer in the mouth or neck. Although oral cancer is a serious condition, many American adults are not aware of the incidence of this disease. According to the Oral Cancer Foundation, about 48,250 people in the US will be newly diagnosed with oral cancer this year. That's 132 people every day. Tragically, the statistics say one person will die because of an oral cancer every hour of every day. Early detection of an oral cancer leads to an 80-90 percent survival rate. Because most oral cancers today are discovered in late stages, the disease currently has a high death rate of about 43 percent at 5 years from diagnosis. Our dentists will look for early signs of cancer in the mouth, the back of the throat and on the exterior of your lips. We can refer to specialists for biopsy when necessary. To schedule your routine checkup and oral cancer screening, please call the experienced team at the Center for Cosmetic & General Dentistry at 585-227-4390. We serve people from across New York, including Webster, Rochester and Greece. Teeth whitening can make your teeth shine again. Over time, your teeth can become dull or dingy just by what you eat and drink. Consider an in-office whitening procedure to rejuvenate your smile. Porcelain veneers can fix many problems, such as chipped, cracked, broken, or missing teeth. Porcelain crowns can protect your teeth and improve their appearance at the same time. Tooth-colored fillings will blend into and restore your smile. Dental bonding, similar to veneers, can help adjust the shape and spacing of your teeth. If you have multiple issues you'd like to address, our dentists at the Center for Cosmetic & General Dentistry can craft a personalized smile makeover. We are passionate about your dental health and your smile. 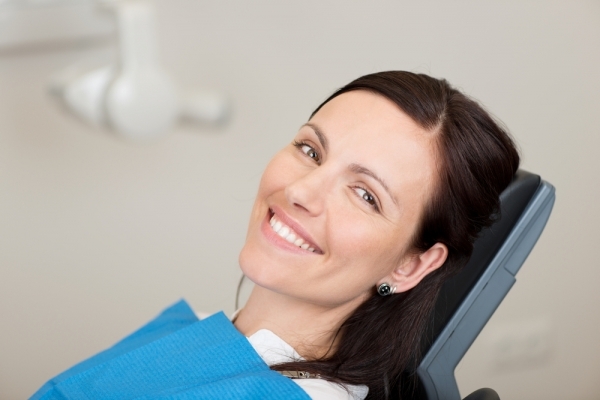 A simple cosmetic dental procedure can help improve your self-confidence. For more information on cosmetic dentistry options or to schedule a free consultation with Dr. Sussman or Dr. Pogal, contact our experienced and compassionate dentists at the Center for Cosmetic & General Dentistry at 585-227-4390. We have been serving patients in Upstate New York for nearly 35 years, including the areas of Rochester and Greece. Blueberries. With the most antioxidants among fresh fruits and vegetables, blueberries' polyphenol antioxidants neutralize free radicals that can lead to stress and cell breakdown and can have a preventive effect against oral cancer. Strawberries. Not only do strawberries contain malic acid (a natural enamel whitener), they also have all those little seeds that act as natural scrub brushes while you chew. Make sure to floss after eating these berries as those same seeds can easily become stuck in your teeth. Leafy greens. Not only do leafy greens such as spinach contain vitamins, minerals, and calcium to build enamel and keep your teeth healthy, eating them is conducive to a clean set of chompers. All that chewing generates saliva, which helps to wash away food particles; the greens themselves double as scrubbers, too. Choosing healthy options such as fresh fruits and vegetables helps your entire body, teeth included. Make them a part of your overall dental health regimen along with regular checkups with the experienced dental team at the Center for Cosmetic & General Dentistry. For more information on general dental health or to schedule a free consultation with Dr. Sussman or Dr. Pogal in Rochester, contact our experienced and compassionate dentists at the Center for Cosmetic & General Dentistry at 585-227-4390. We have been serving patients in Upstate New York for nearly 35 years. What types of problems may I be at risk for? After getting a routine cleaning or dealing with another problem, other potential problems may not be in the forefront of your mind. Now is the time to ask if there is anything else you should be aware of, while both you and your dentist are thinking about your dental health. What can I do to take better care of my teeth? Chances are your dentist will reiterate the need to brush for two minutes at least twice a day (including your tongue), to floss once a day, to avoid sugary snacks and beverages, and to be aware of what you are eating or drinking that may stain your teeth. What do you think I'm doing right to promote my oral health? In addition to what your dentist will tell you to take better care of your teeth, it's also helpful to know what you're doing right. Many times a simple pat on the back about what we're doing right that can make the difference in maintaining good oral health. You're probably doing more that's right than you think. Asking these basic questions will cover a lot of ground in oral health and may open the discussion further to topics you and your dentist haven't thought of. The experienced dental team at the Center for Cosmetic & General Dentistry can answer any dental questions you may have. For more information on general dental health or to schedule a free consultation with Dr. Sussman or Dr. Pogal, contact our experienced and compassionate dentists at the Center for Cosmetic & General Dentistry at 585-227-4390. We have been serving patients in Upstate New York for nearly 35 years. There are many things that contribute to our teeth losing the pearly whiteness of our youth, from foods we eat and beverages we drink, to behavior such as smoking or using chewing tobacco. Luckily, you can avoid or diminish many of the worst offenders by limiting your intake or changing how you use them. Coffee: Your morning cup of joe has strong pigments and is high in acids, making it a prime stainer of teeth. Some evidence has shown you can minimize staining by adding dairy milk. Tea: Actually worse than coffee for staining, tea is also full of acids and tannins (plant-based compounds that make it easier for stains to stick to teeth). For iced tea, use a straw to bypass your teeth. Wine: Reds are the worst, being high in tannins, acids, and with strong pigments. White wine, while not having as strong colors in its tannins, nonetheless preps your teeth for other types of stains because of its high acidity, which weakens tooth enamel and makes it more vulnerable to stains. Berries: Blueberries, strawberries, raspberries, blackberries, cherries, grapes, pomegranates: basically anything that can stain your clothes can stain your teeth. Tomato Sauce: As with berries, the stain potential of anything tomato-based is high due to the high levels of pigments. Fortunately, you can take steps to avoid staining your teeth. Brush your teeth as soon as you can after enjoying any of these drinks or foods, or at least swirl water in your mouth to rinse away staining material. Keep your regular dental appointments for cleanings that can help remove stains. If your smile seems a bit duller recently, you may want to consider a teeth whitening procedure. For more information on these procedures and to schedule your consultation, please contact our experienced and compassionate dentists at the Center for Cosmetic & General Dentistry at 585-227-4390. We have been serving patients in Upstate New York for nearly 35 years. The experienced and compassionate dentists Dr. Meredith Pogal and Dr. Paul Sussman will determine if there is a dental-related cause. 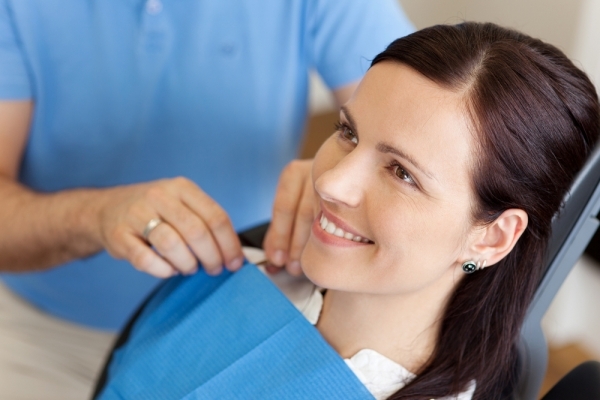 We can also recommend treatments and help you get back on the path to optimum oral health. If you think you have dry mouth, please call the experienced dentists Dr. Meredith Pogal and Dr. Paul Sussman at 585-227-4390 for a free consultation. Our dentists can determine the cause of your dry mouth and get your dental health back on track. We have been serving patients in Upstate New York for nearly 35 years.